I took a couple of days off after the Labor Day holiday last week, and was fortunate enough to complete a couple of trades on the TCDB website. I mailed both of my packages on Wednesday of last week, and I'm positive that my trade partners did the same. I received both of their PWE's on Saturday. One of my bubble envelopes finally arrived yesterday. The other one isn't due until tomorrow. So slow, so sad. Maybe I should stick to sending PWE's? Anyhow, I did receive some good stuff in return. I've only nibbled at this set for the past year, in fact this trade and the spoils from the weekend card show finally got me past the 10% mark for the set. 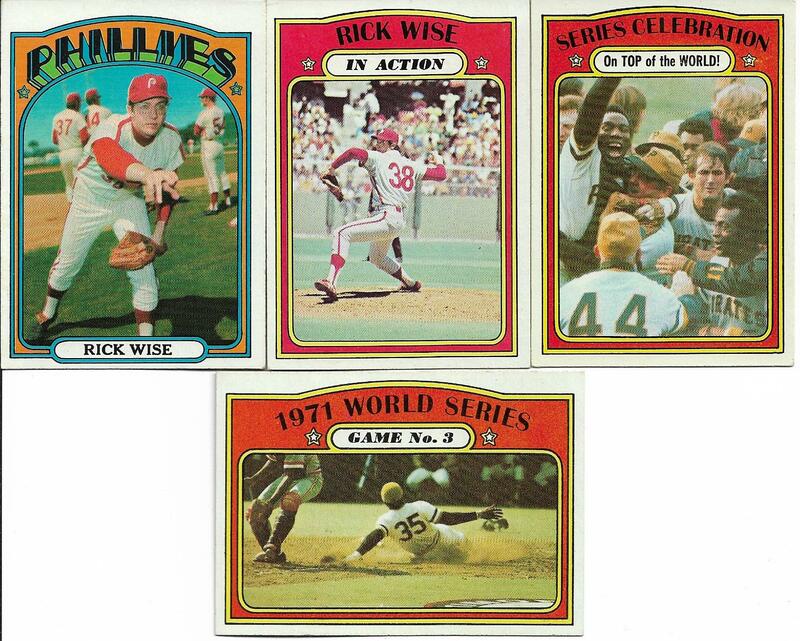 Definitely no hurry with this one as there are other sets on the 68-86 Topps want list that I have a good head start on. Thank you Merlin, look forward to more trades with you! 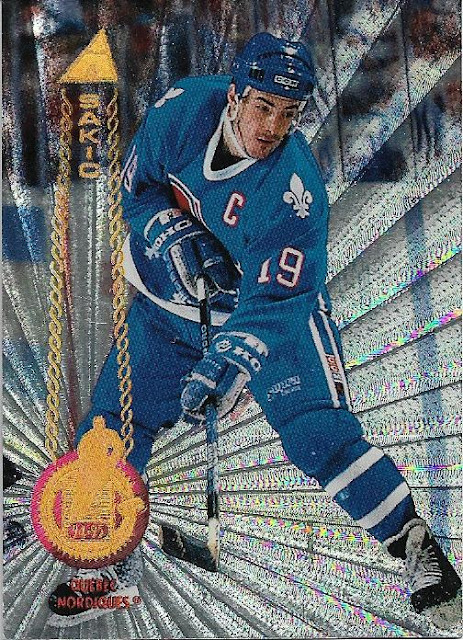 I already have my first repeat trader on the site, as Mike (user ID: 49ants) requested a 3 for 1 trade, with the 1 that I received being the Joe Sakic 94-95 Pinnacle Rink collection parallel you see above. I've held out on this card for a long time, as I've never been able to find a cheap copy. No need anymore, as one of my long needed cards is now off the list. Mike, thank you for the trade as well, I'm hoping your cards arrive safe and sound tomorrow!! Still lots of piles on the desk to go over, including my card show haul that would make Dime Box Nick proud. Thanks for the shout-out and kind words. First time I've ever been mentioned in one of the blogs I read. Enjoy the cards. I've traded with Mike a bunch of times. Great member of the site!